Robert Bates, the volunteer sheriff's deputy who allegedly mistakenly shot 44-year-old Eric Harris has had his training records released in the wake of the fatal shooting. 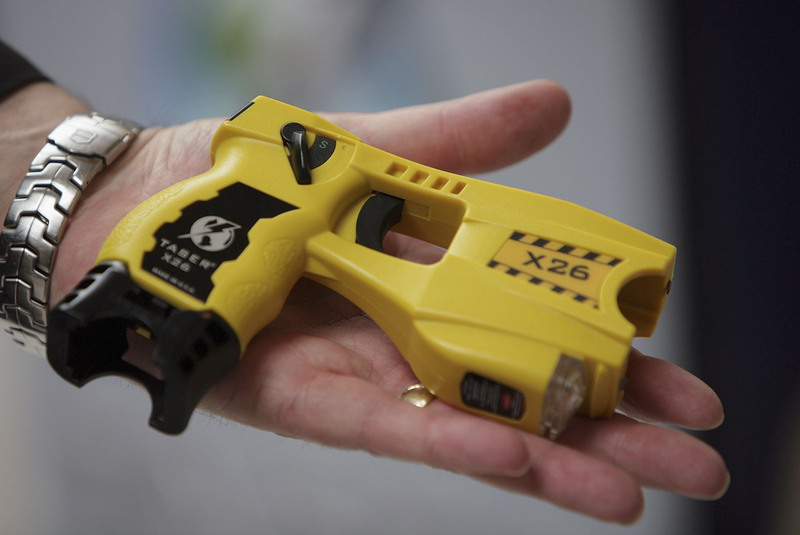 Bates' training records show that he's not only proficient with firearms but has been trained on his stun gun, the latter of which he last trained on in 2009. A stun gun was what Bates says he was trying to reach for when he shot Harris following police pursuit after an alleged sting operation. We don't allow out of state people to take the class. I'm only surmising, and I can't confirm this because this would not have been our class, but our active shooter instructor did travel to Dallas once to teach a class. Maybe he took that class and is saying he took it through us, but again, that would not have been our class, so we have no way to verify if he attended it or not. Bates indeed mentions a five-day homicide investigation class in Dallas that was put on by the Maricopa County Sheriff's Office, which he attended. The records that were released show that Bates had been in Dallas for the Regional Organized Crime Information Center Narcotics Conference and in St. Paul for his Clandestine Laboratory Safety Certification. Bates' specialties include anti-drug training as well as homicide investigation, which may have been why he was assigned to the Tulsa County Violent Crimes Task Force despite serving in a strictly volunteer position. What this means for Bates' subsequent legal case ultimately hinges on whether or not Bates' superiors falsified his records to show that he'd had training he ultimately hadn't received. The issue of Bates serving in a reserve position as well as his numerous donations to the Tulsa County Sheriff's Office, including the donation of a $25,000 Chevy Tahoe in 2010, all appear to be a null issue to the sheriff's office itself, which has repeatedly stated that such gifts as well as volunteer reserve participants' investment are all commonplace on their force. A statement released by the family of Eric Harris describe Bates as a "wealthy citizen who wants to be [a] 'pay to play' cop." Although Bates says he was previously a police officer, that time was short-lived — just a year of service before eventually embarking on a career that propelled him to CEO of an insurance company, which he ultimately sold shortly before joining the Tulsa County Sheriff's Office in a volunteer position.